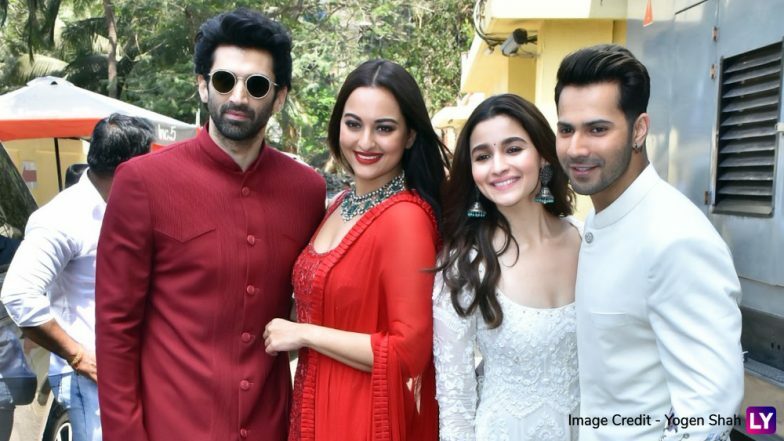 Karan Johar's period saga, Kalank hit the screens today but critics are not really raving about it. Though Varun Dhawan, Alia Bhatt and Kunal Kemmu are being lauded for their stellar performance, the movie is receiving some harsh reactions and that's heartbreaking. Makers didn't leave any stone unturned for its promotions and sadly Sanjay Dutt was nowhere to be seen. His absence was noted, felt and discussed. Was the actor miffed with the film's makers or there was a different reason behind his absence? Well, thankfully we have the answer for you. Kalank Movie Review: Alia Bhatt, Varun Dhawan, Kunal Kemmu Shine in a Beautifully-Framed but Dull Love Saga Set During the Partition. As per latest reports, the reason behind Dutt's absence was Rajkumar Hirani. In one of his recent media interaction, he extended his support to Hirani and was later criticised for the same. Though Sanjay was merely supporting his dear friend, Kalank's team had to pay a heavy price for that and his statement had apparently irked them a bit. They later decided to keep him away from all media events as damage control and this explains why he was nowhere to be seen. Alia Bhatt's Promotional Style File for Kalank Was Conventional Yet Chic - View Pics. A source told a leading daily, "Baba blurted out his defence of Hirani in all innocence. He was standing up for a friend. But the move backfired badly. The team quickly decided to eliminate Baba from marketing and promotions." However, Sanjay Dutt's absence from media events also affected Madhuri Dixit's interactions. While the reel-life couples engaged in conversations, the senior actress rarely made any appearances with them and now we know why. Guess, now that the film has released, he should be given a chance to discuss his role and answer questions that are strictly restricted to his character.